Droopys Lagoon is really still a novice over 750 yards but she will go off a very strong favourite to win the final of the Gain Corn Cuchulainn at Shelbourne Park tonight. Trained by Pat Kiely, Droopys Lagoon has posted a flying 41.69 in two of her three outings and a repeat of that level of performance should see her gain the classic status here. The obvious danger is Pat Buckley's Javielenko, a very consistent tracker which is also just emerging from the novice grade over six bends. Last week's surprise winner Kapalua Lady and the in-season Ballykett Beauty are likely to figure but it will be a surprise if the big two do not dominate, with Droopys Lagoon (9.40) the fancy. The third round of the Bar One Racing Irish Sprint Cup will be run at Dundalk where Butterbridge Bex will be an absentee due to a split web. 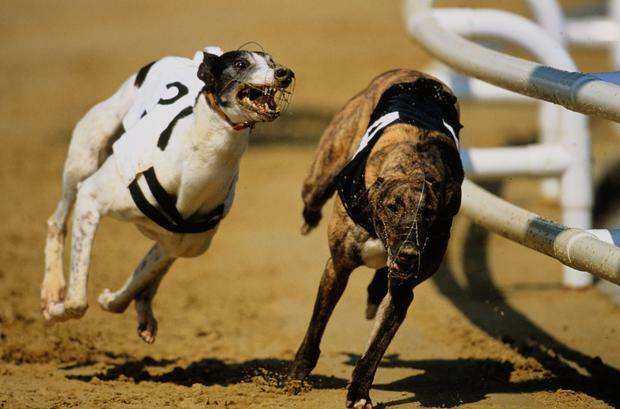 The clear favourite for the two-bend classic is Buckley's Droopys Steel (9.20) which has been the star of the competition and can lead home his kennel companion Pennylane Masara.